I fell in love with the chiropractic philosophy and decided to become a chiropractor. Dr Mike attended Palmer College of Chiropractic to obtain his Doctor of Chiropractic. Palmer was established by the founder of chiropractic, D.D. Palmer. 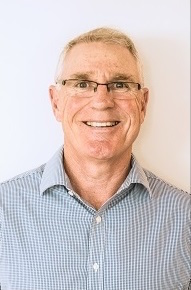 Dr Mike graduated with high honours in 1977 and first operated a chiropractic practice in Auckland, New Zealand. After 10 years, he moved to Brisbane. Dr Mike founded Stott Chiropractic in July 1987 and has welcomed patients to our healing centre ever since. The practice has moved its location from Jindalee in the All Sports Shopping Village to the new location at 631 Seventeen Mile Rocks Road in the Western suburbs. We welcome the opportunity to evaluate your health and create a plan to improve your life. Contact us today!